Holidays have a way of disrupting art making. As does the garden. When the produce is ready, it’s ready. Whether I am or not. Last week I only saw the inside of my studio when letting the studio cats in and out. Instead we celebrated my favorite holiday, July 4th. In my family this means a gathering of the grandmas, grandpas, aunties, uncles, cousins, and kids in Hanford. We swim in the Hanford heat. Go to the movies. Eat too much good food. Play with the dog. 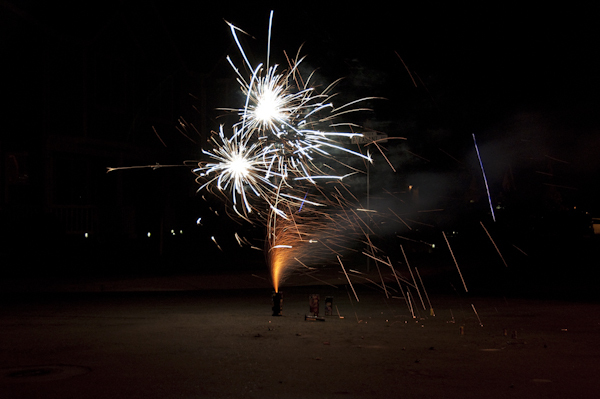 And do fireworks like we did when I was a kid. We hang out, we chat, we visit with our beloved family. And this year, we celebrated our youngest niece, Bennett’s, first birthday. At the same time, the fruit for jam making from our local orchard, Andy’s, was ready. “Come and get it!” they called. So I spent 3 days turning 30 pounds of Blenheim apricots and Santa Rosa plums into jewel colored jams. And the green beans and the cucumbers in our garden have burst into enthusiastic overdrive so yesterday I spent the day canning pickles and Dilly beans. Oh, I’ve been thinking of art and talking about art. But not actually making any. (Well, I designed custom canning labels, does that count?) Monday I had a nice visit with my friends and fellow artists in the Book Arts Quire. And Friday, after I harvest the garden, I’m going to work on art. Really. Next week I’ll have an art story or two for you. Each year on July 4th we celebrate with my family at my parent’s house in Hanford, California. It is the closest thing to summer and holidays that I remember from my childhood. Lots of relatives, lots of food, lots of people talking all at once. Add a pool to jump into, fresh apricots, peaches and plums ripe to perfection and, really, I think it is as good as it gets. 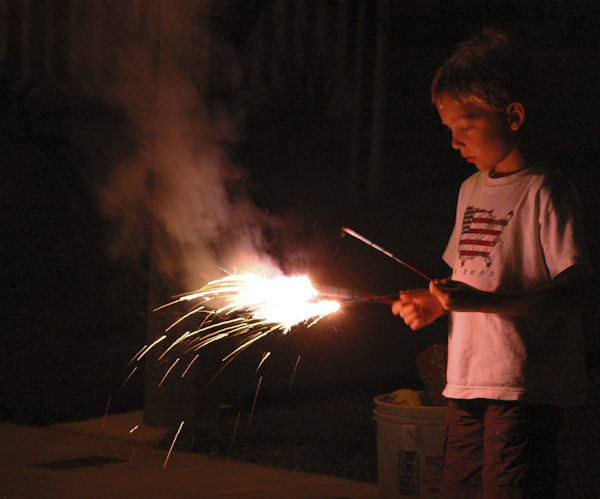 Sitting in a folding chair on the sidewalk while the kids lined up the fireworks for the show and my husband acted as master of ceremonies, I couldn’t help but reminisce about the simple pleasures of my childhood. Fireworks are still one of my favorite things. 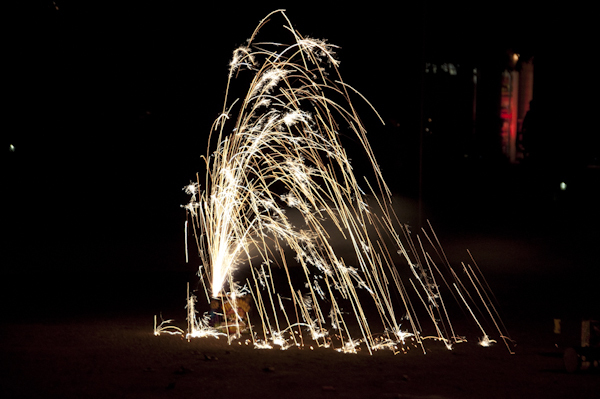 Not only do I love the colors and the oohs and aahs, but I also associate them block parties, family, and with my dad – he and I used to light a few ahead of time in our backyard on the evenings leading up to the big day. Now I am thankful that my niece and nephew can enjoy the same simple pleasure. A tradition that takes place away from the televisions and computers that dominate so much of their interests. For a few hours they get to enjoy the same bonding with their family that we had. Even in their much more experienced eyes, fireworks are magic and worth moving away from the screen. I don’t think I’ll ever get tired of those beautiful sparks erupting in a spray through the darkness. Or of the joy I hear in everyone’s exclamations. And I hope that these kids will make the effort to create this experience when they have families of their own. We can’t do fireworks in San Jose any more. We have to drive three hours to enjoy this simple pleasure from our childhood. I wonder, will it be this way with books? Almost daily I read this debate on the newsgroups I belong to. Artists, bookbinders, librarians – we all wonder, is the paper book going to be replaced by the iPad, Kindle and smart phone? Will we have to drive three hours to find a library that still has paper books? Will this generation of kids be reading bedtime stories to their children from an electronic screen? Or, worse, will the screens be reading the bedtime stories so the parents don’t have to? Usually when I think about the future of books I am considering the classics, artists’ books, or books of historical significance. But this weekend, when my focus was on the memories we help create for children, I began to wonder about the future of books in those memories.